A former World champion angler from Hampshire who has inspired hundreds of youngsters to aim for glory in Britain’s biggest participation sport has been recognised with a national honour. Chris Clark, of Lymington, has been given a British Citizen Award for his services to the community. 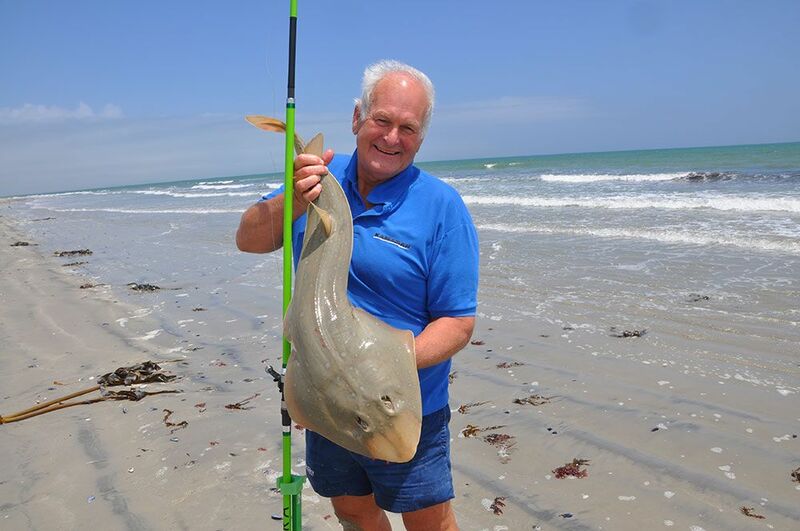 Chris, one of the world’s best sea anglers, has held numerous voluntary posts representing anglers across Britain. He is a former World Champion who has won 23 world medals (gold, silver & bronze) during a lifetime of fishing but now dedicates his efforts to helping other future sea anglers which has seen him produce three more world champions. It has not been an easy road for Chris who suffered devastating injuries in a near-fatal farm accident in 2001 spending many weeks in hospital recovering. He lost much of the mobility in his right arm and leg at the peak of his England career. But he refused to let it get him down instead saying the accident inspired him to give up his farm and devote himself full-time to sea angling and supporting youngsters showing a talent in the sport. Coaching the u-16 team for many years he has taken them across the world to compete in major events often dipping into his own pocket to cover costs in a sport which often struggles to attract sponsors. But the 68-year- old father and grandfather is adamant it should be available to all and not just those who can afford to fund it themselves. Over the last 3 years Chris has taken a lead role in developing and coaching on the Angling Trust Talent Pathway, a training programme designed to help good Junior anglers transform into world class anglers. Chris, is one of 34 medalists who will be honoured at a prestigious ceremony on January 25, at the Palace of Westminster. All BCA recipients have selflessly undertaken various activities in support of a number of worthy causes. Each will receive a Medal of Honour, inscribed with the words ‘For the Good of the Country’. Medalists are also invited to use the initials BCA after their name. Speaking about his nomination, Chris said: “I feel very honoured by this award but more importantly I’m delighted by the legacy it will have in terms of encouraging more people to not only take up sea angling but also to consider coaching if they have the expertise and time to give. It is important that we do as much as we can to promote and support the talents and skills that individual children have.